Mack Warbuckz has lyrics that are very politically driven, as his aim is to entertain and educate society on a global scale. Warbuckz is a consummate lyricist ,who to many is reminiscent of Ice Cube and Scarface with his edgy and lyrical reality rap. Warbuckz is sure to excite and enlighten you with his crafty word play ,and rhymes filled with social commentary. 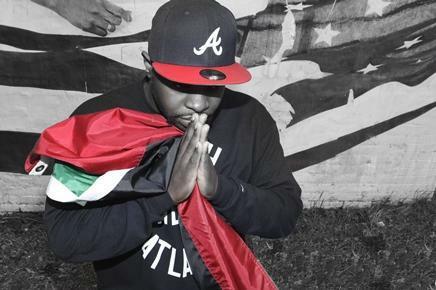 He is part of a larger collective called Eighty Two Kings ,Warbuckz teamed up with elite producer Franco out of Atlanta on his currently released project "In Search Of Huey P Newton" . Warbuckz, considered a lyrical juggernaut ,conceptual writer, and wordsmith is destined to leave an indelible mark in Hip Hop Culture. Warbuckz is due to release an EP this fall entitled "The Infinity EP", with production from the likes of up and coming producers DonPharaoh, and Cliff on the beats .